Long before the February press conference where physicists reported the first detection of gravitational waves from space – a major scientific achievement that made headlines around the world – Asimina Arvanitaki had arrived at a way to do the same thing with a far smaller and cheaper experiment involving a microscopic disk suspended by powerful lasers. The 36-year-old theorist, known to friends and colleagues as Mina, has become a specialist in thinking up novel approaches to some of of the deepest problems in fundamental physics. Her work is at the forefront of an emerging area of research that is sometimes called “the precision frontier” because it involves making exacting measurements of well-understood phenomena and looking for unexpected deviations from what theory predicts. “Most of these ideas you can actually build on a table,” said Dr. Arvanitaki. Now Dr. Arvanitaki will have more scope and resources to pursue her ideas as the latest recipient of an $8-million research chair at the Perimeter Institute for Theoretical Physics in Waterloo, Ont., where she has worked as a researcher since 2014. The new chair is noteworthy for a few reasons. In addition to representing an area of research that thrives on working off the beaten track, Dr. Arvanitaki will become the first female chair holder at the high-profile institute and the first to be supported by a funding source from outside Canada. 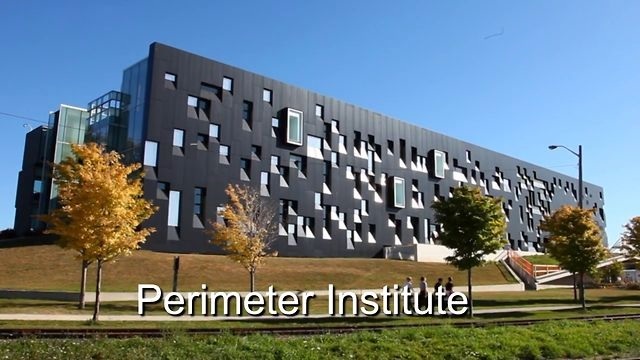 The Stavros Niarchos Foundation, a philanthropic organization headquartered in Athens and associated with a shipping industry fortune, will cover half the cost of the chair with the remaining support coming from the Perimeter Institute. Greek heritage is evident in the title of the new position, dubbed the Aristarchus Chair in Theoretical Physics after the ancient philosopher from the Greek island of Samos who famously suggested that the Earth revolves around the sun, some 18 centuries before Nicolaus Copernicus. “His thinking implied the sun is exactly like the distant stars,” said Dr. Arvanitaki, who suggested the name for the inaugural chair. She added that by foreseeing that our solar system many not be unique in the universe, Aristarchus was also setting the stage for a far more contentious theory in current physics, which holds that our entire universe is just one of many. “It’s a very controversial idea. People hate it, but I find it fascinating,” Dr. Arvanitaki said. Dr. Arvanitaki came to Perimeter after earning her PhD and doing postdoctoral work at Stanford University under Savas Dimopoulus, a widely respected theorist who also hails from Greece. “She’s one of the most brilliant young people I’ve ever met,” Dr. Dimopoulos said of his former student and collaborator. He added that intelligence alone was not enough for success in physics, and that one way Dr. Arvanitaki excels is in selecting problems to work on that lead to productive results. The Institute was established in 1999 by BlackBerry co-founder Mike Lazaridis and has since drawn substantial government support, including a $50-million investment over five years announced in the latest federal budget.